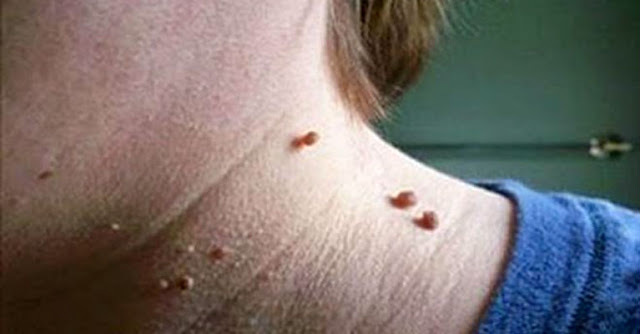 Skin fibromas are often called warts but they can be removed due to esthetics or because they cause inflammation. The difference is that they are not birthmarks. Some people want to remove the warts from their faces and bodies due to esthetics. But older people often advice that we shouldn’t touch warts because it is dangerous and this is why many people fear to take the risk. Is their removal entirely safe? At first you should make a difference between virus wart, infectious wart, warts which may be a consequence of HPV and skin fibroma. The former ones should be medically treated. An example of warts which may appear (similar to soft firomas) on your armpits are called filiform verruca. These virus warts are prone to extending. In case if their number enlarges, it is time for their removal. Maybe the reason why they appear is the skin care you provide to your body. Maybe you take showers too often, maybe they are consequence of a hair removal process, maybe they appear because you sweat a lot. Dermatologist or surgeon should decide what is best for you to do. Depending on its nature probably you shouldn’t remove them entirely just make them smaller, drill them etc. Cryotherapy or treatment with liquid nitrogen is the most common method of removing them. Try to educate yourself as much as you can about the way of treatment, scars, time needed for skin regeneration after the surgery and the cost of the whole process. Since ancient time for wart treatment it is used fresh celandine juice (Chelidonium maius L.) or tincture which should be applied twice a day on the wart. Since 2002 a group of scientists has been trying to examine the benefits from sticky tape and liquid nitrogen in the process of wart removal. After two months of daily usage of sticky tape and using stone for removal of dead skin once a week they noticed that in 85% of the patients, warts have disappeared. On the other hand, freezing with liquid nitrogen removed around 60% of warts. Experts concluded that stocky tape provokes irritation and in that way stimulates the immune stations in our body to attack the wart.